One of the best things about summer as a kid, were family vacations with Mom and Dad. Vacations allowed me to (1) be a free spirit, (2) explore, and (3) wade in the tepid waters of the Gulf or Atlantic, and sometimes tip-toe in the Great Lakes’ frigid waters. Oh how Mom and Dad embraced Florida! From Jacksonville’s soft sand beaches and Aunt Mary’s crab boils, to St. Petersburg’s old forts, and Miami Beach’s Art Deco District. Mom and Dad loved it all. 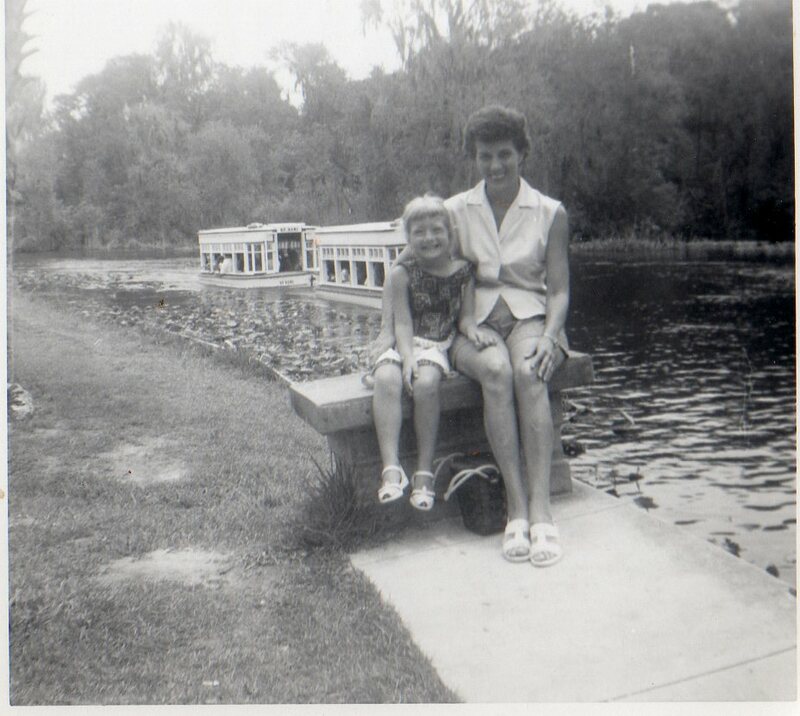 Recently, I found a black and white photo of Mom and me posing on a concrete bench at Silver Springs, Florida. A glass-bottom boat was the background scenery. Mom and I wore matching white leather huarache sandals. I loved those sandals. (My brown leather softies purchased as an adult, even outlasted my first marriage. I was eager to discover the underwater world at Silver Springs, a popular tourist attraction. My white huaraches and I stepped foot onto a glass-bottom boat for a tour of the Silver River, lead by an official ‘Captain’. With glistening views of the sandy bottom and sea shells, the day was unforgettable. 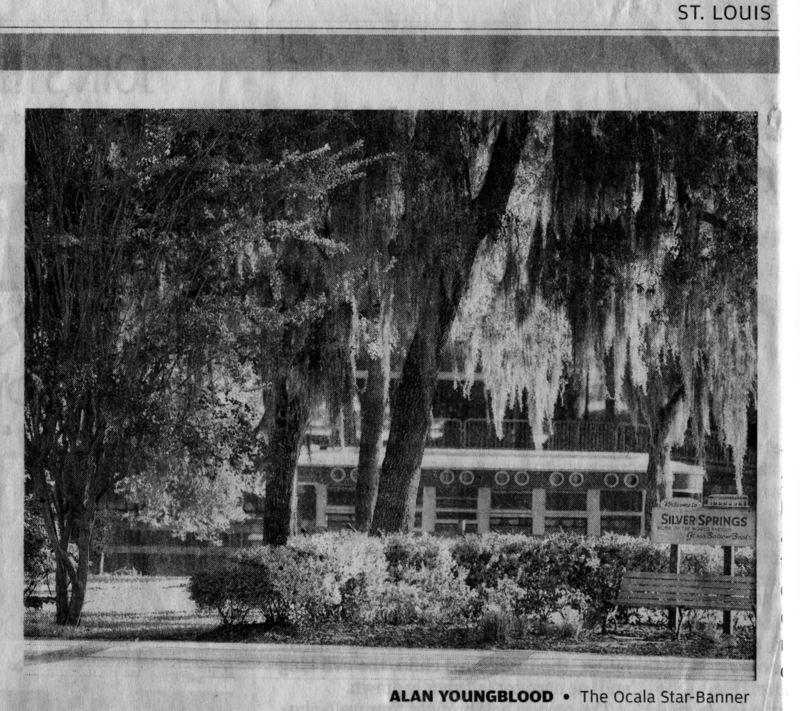 Shortly after I discovered the snapshot in my cardboard box of memories, I read a story the St. Louis Post Dispatch ran by Alan Youngblood of the Ocala Star Banner. The exact same boats I remember in their heyday, appeared as the backdrop for the photo in the Post, with cypress trees, bushes and a park bench in the foreground. In the 1960’s the popular TV show Sea Hunt was filmed at Silver Springs, as well as countless movies. The attraction recently reopened as a state park. The article mentioned the glass-bottom boats are still a feature for park visitors. Over the past year, millions were spent to preserve the springs with different anti-pollution projects. Apparently, the water clarity disspated due to nitrates infiltrating the spring water. I’m curious to see now, if the springs are pristine, clean and full of interesting fish and bird life — the way I remembered them as a child. And I’d like to think that the same concrete bench — the one Mom and I sat on, decades ago – is still waiting for me….to make new memories. It was recently suggested that I decide on a ‘brand’ for my book of inspirational essays with lyrical introductory photos of which I am seeking representation. As I pondered this idea, I’m not sure if I came up with a solution. I am certain of who I am and what makes me unique.. I love taking long walks on the beach, and searching for shells. 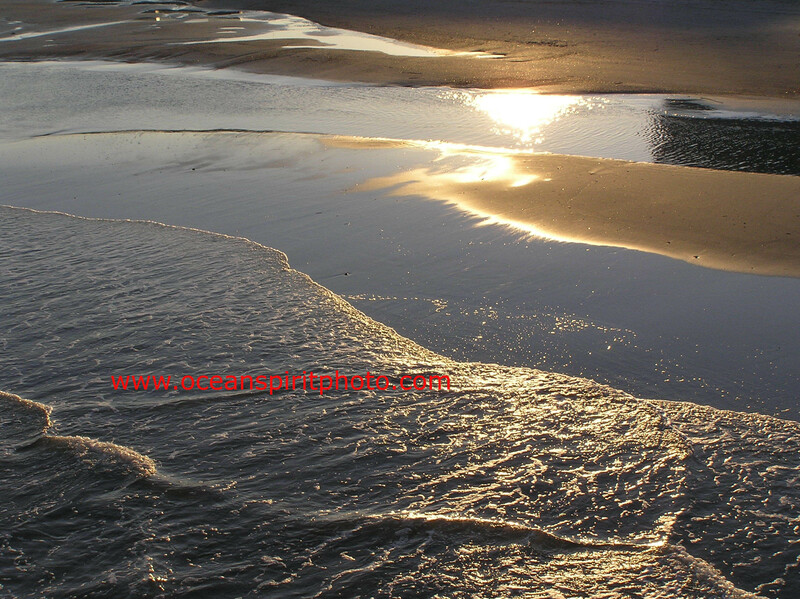 The motion and harmony of the people, nature, and the waves, stir up feelings I can’t explain. The great rush of water on my neck, arms and legs as I jump giant stride off a diving platform in the deep blue gives me the biggest adrenalin rush. I cherish all animals big and small – from the tiniest dragonfly in the last stages of life to the ten foot Caribbean reef shark I encountered while diving in the Bahamas with my husband. There are no bad days at the beach. Family is important, especially since mom and dad have passed on. I love my brother and cousins unconditionally, and my Aunt Georgia, the matriarch of our family. They never cease to amaze me. I call my husband’s family my own. I love the feel of a horse’s coarse mane running through my fingers, and their soulful eyes. Interacting with people and developing relationships is important to me. My long time friends and I have experienced life together – laughing, crying, analyzing. I’ve weathered tropical storms. Island people have threatened my deportation. I’ve endured traveler’s diarrhea. I’ve picnicked on unsuspecting homeowners lawns. I’ve been called names by little girls in the Turks and Caicos, and even flown over the Atlantic Ocean in a seaplane during a thunderstorm. And I wouldn’t trade any of it. My three-legged cat boy, my butter-eating black cat diva, and my neurotic Aussie Shepherd give me endless pleasure, comfort and laughter. I enjoy learning about my ancestors – through Uncle Willie’s Farm, or through an online ancestry registry that leads me closer to my father’s heritage in Lithuania. If I couldn’t travel, I would shrivel up like a prune. My transportation modes have been many – helicopters, planes, trains, automobiles, golf carts, hobie cats, bogie boards, canoes, kayaks, live aboards, dive boats, cruise ships, and mask, fins and snorkel. Faraway and familiar places are countless, and the memories are enough to last ten lifetimes. I believe you can’t write a story without snapping a photo. Pictures make the best memories. I love that I married my best friend. And there are no bad days at the beach. Please enjoy my essay about an encounter with a ten-foot reef shark in the Abaco Islands. The photo credit is to Russell Nielsen, my husband, who fearlessly snapped the picture of the shark. Click on the links below. Essay is on page 11 and page 18 of the newspaper.